This great Baroque building was built around 1770 maybe commissioned by the Count Fabrizio Rasponi, whose son married Benedetta del Sale and thus gave this family a double surname. This building is an exception in the ambit of the building stagnation scenario of Ravenna in the second half of the 18th century, period in which many noble families were facing economical hardship. The land where the building stands used to be occupied by the Medieval dwelling of the Artusini family and it also seems by ancient Roman monumental remains. The building was sold to the Rasponi del Sale family in the second half of the 19th Century and it was destined to be the seat of the ‘Circolo Ravennate’, a bourgeois recreation association founded in 1862. 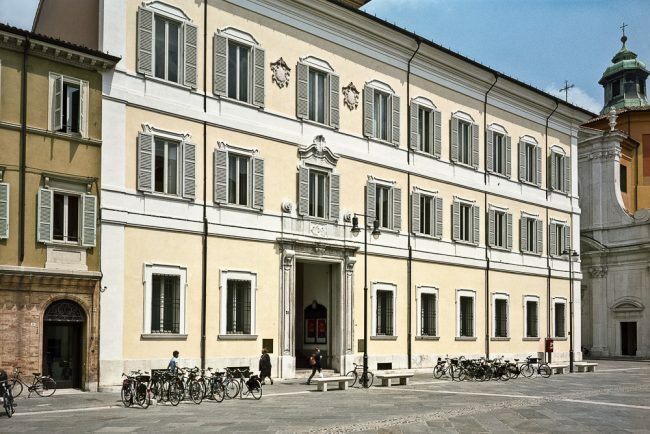 In front of this building, one of the members, a banker Antonio Monghini was the first victim of the most famous clandestine terroristic Romagnol Sects, who expressed the people’s discontent against power known as the ‘Accoltellatori’ and remained active until 1871. 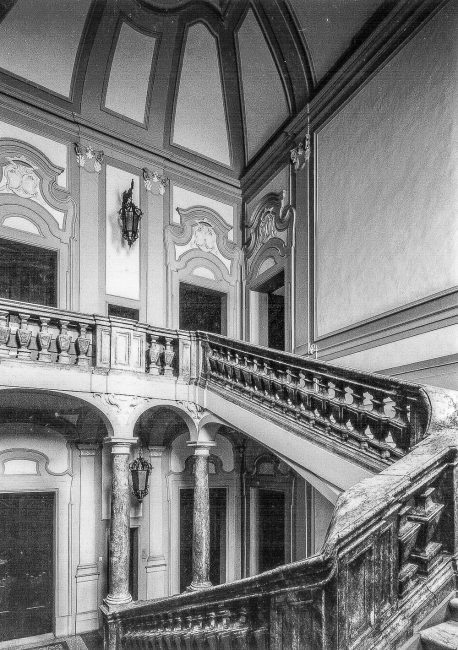 From 1878 to 1895 the building was the seat of the Cassa di Risparmio, then of the Consorzi or Grandi Circondari di Scolo and in 1918, of the Credito Romagnolo, that commissioned the most important renovations. Augusta nicknamed “Gugu” was part of the Rasponi del Sale family (1864-1942). She was a highly cultured woman, a philanthropist and drawer and was known to have chosen a modest lifestyle devoted to charity; Gugù desperately tried to help poor children and to fight against the high infant mortality that was common at that time. She died alone and in misery after having spent all her lifetime tirelessly helping children all over Italy.